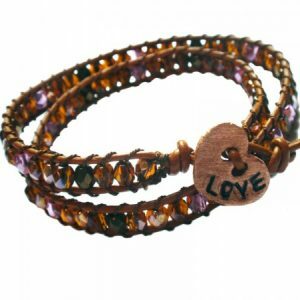 For this bracelet I used 4mm Czech glass beads I bought at a bead show, bronze-colored leather and Griffin silk thread. 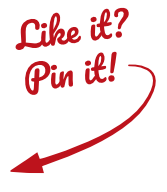 The button used was purchased from a store that was going out of business. 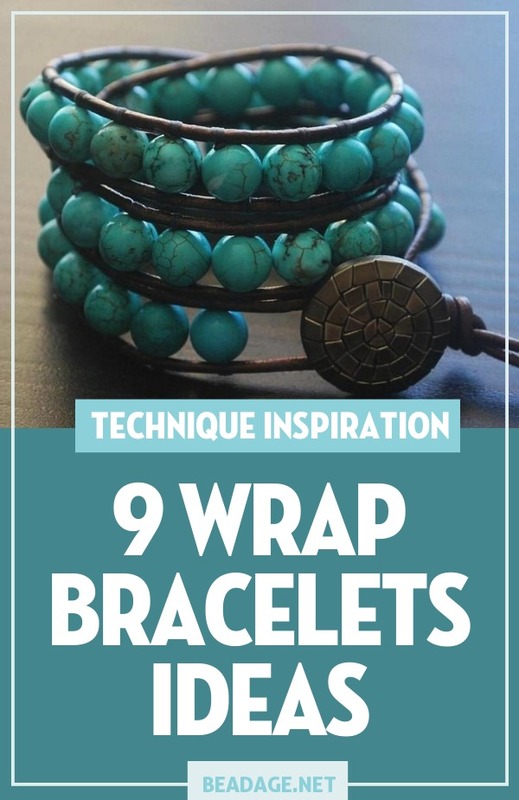 The bracelet wraps around the wrist one time. 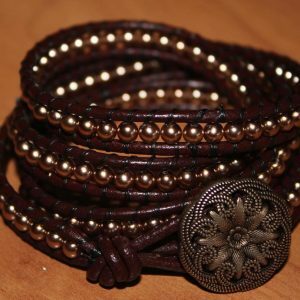 This was my first attempt at making a wrapped bracelet. 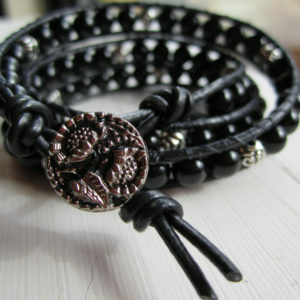 Is there anything more sophisticated than black on black? 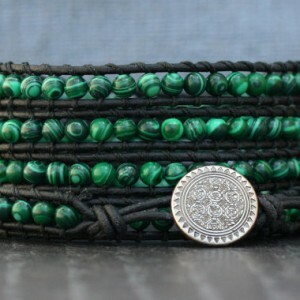 This leather wrap bracelet is made of onyx and a few silver bali beads for visual contrast, with a metal toggle clasp. 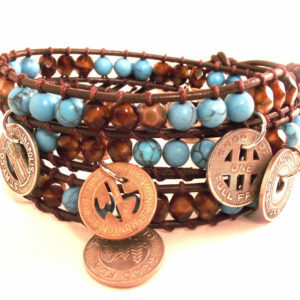 Classic leather wrap bracelet with brown and turquoise beads with real vintage train and subway tokens for flair. 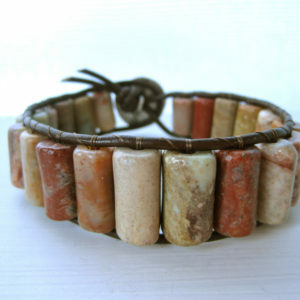 Gorgeous African opal makes this piece interesting, with multicolored beads of blue, red, and green but all in muted tones. 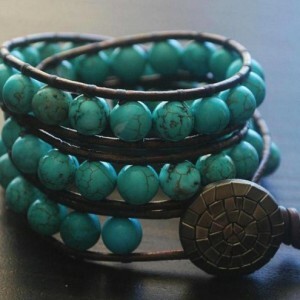 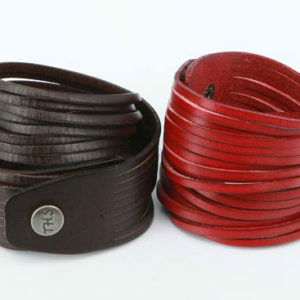 A simple leather wrap bracelet with stone tube beads. 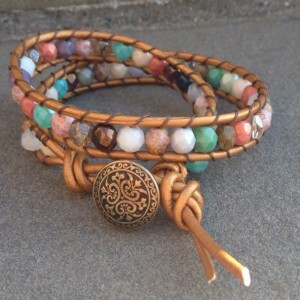 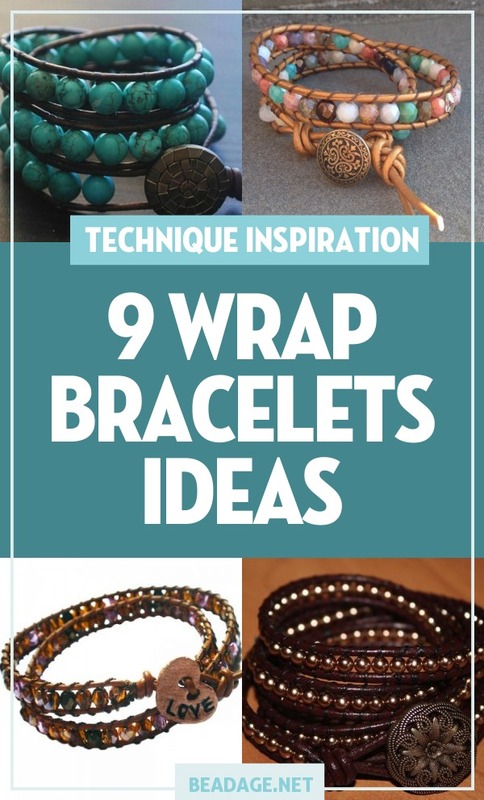 It’s a fairly simple design, but the gemstone beads are unique enough to make it interesting and give it a boho chic look. 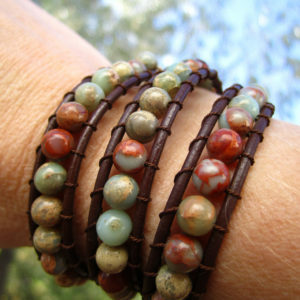 The stones look like they are probably agate or jasper. 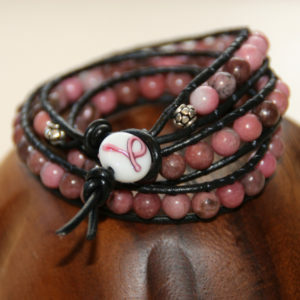 Black Leather Bracelet/ Native American Style Seed Bead Wrap Bracelets For Women/ Mens Bracelet.